Little League® Baseball observed its diamond anniversary, and fans of the sport and the World Series celebrated with an updated book, Play Ball! The Story of Little League Baseball by Lance and Robin Van Auken, and available through The Omnibus Publishing company, and a one-hour, original documentary film, Little League®: A History. Play Ball!, the best-selling history of Little League and the World Series by Lance and Robin Van Auken (Penn State University Press), has been updated and is available as an ebook. The new book is filled with noteworthy visitors and interesting facts. Updated content includes a new chapter on author John Grisham’s movie, “Mickey,” the Danny Almonte scandal, Tee Ball on the South Lawn, pitch counts and arm injuries, child protection policies, ESPN, and the new $4 million World of Little League Museum. Play Ball! The Story of Little League® Baseball is the remarkable story of Little League® Baseball, from the first diamond in Williamsport, Pennsylvania, to the playing fields of the world. 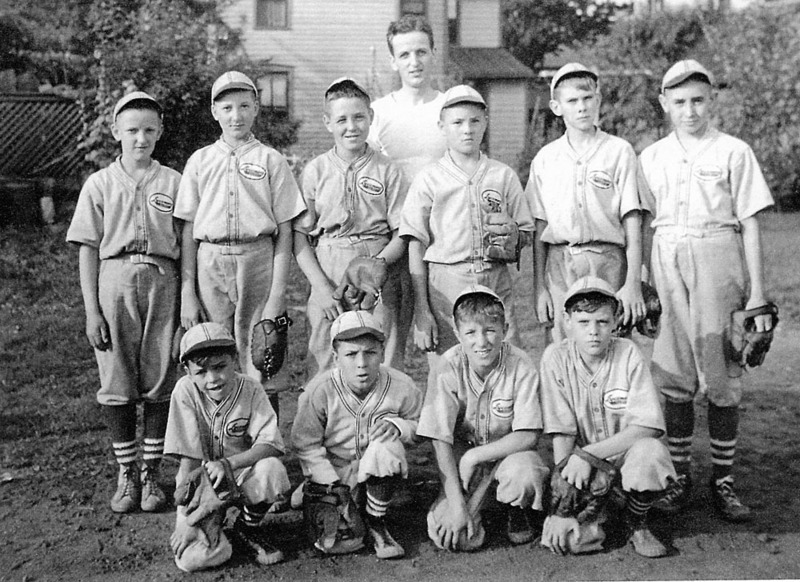 An original jersey was worn by a Lycoming Dairy player, the first Little League Baseball team. On any given spring evening, 300,000 children around the world can be found on the dusty mounds and grassy fields of a Little League field. With more than three million people playing or volunteering in Little League games every year, Little League is the institutional rite of passage into the quintessential American pastime. Today, Little League is played on 12,000 fields in every U.S. state and in more than 80 countries on six continents. Little League also sanctions play in softball, tee ball, and the Challenger Division for disabled children. The Little League® Baseball World Series played annually in Williamsport, is watched by crowds of 40,000 each year in person, and by more than ten million on ABC’s ESPN. The authors were given full access to the Little League® Baseball archives and have created a comprehensive history. In addition to a foreword by Pulitzer-Prize winner Dave Barry, Play Ball! 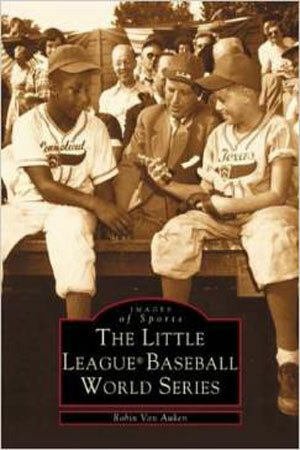 The Story of Little League Baseball contains appendixes including winners of all Little League® Baseball and Softball World Series, year-by-year history of Little League, countries in Little League, and lists of some of the famous people who played the game as children, including Kevin Costner, Bruce Springsteen, and George W. Bush. “Play Ball!” will interest parents, former players, and coaches, fans of Little League® Baseball, general baseball enthusiasts, and anyone who has ever picked up a ball and bat. Lance Van Auken oversees the day-to-day operations of the Little League® Baseball museum, World of Little League, a 22,000-square foot newly renovated facility dedicated to preserving the history of the world’s largest organized youth sports program, and to providing a key educational asset to the children and families of Central Pennsylvania and visitors from around the world. Robin Van Auken is an author, an educator, and a registered professional archaeologist, a skillset she uses every day as a cultural heritage and communication researcher. She has authored and co-authored ten books of local and regional history, including Play Ball! The Story of Little League® Baseball with her husband, Lance Van Auken. Lance Van Auken, left, discuss the filming of “Mickey” at the Little League World Series complex with screenwriter and best-selling author John Grisham. Have you read Play Ball! The Story of Little League® Baseball? We’d love to hear your thoughts. Contact us with questions or suggestions. “Play Ball! The Story of Little League Baseball” by Lance and Robin Van Auken, is available through The Omnibus Publishing company. Little League®: A History is a one-hour film, narrated by legendary baseball broadcaster Vin Scully. The WVIA Original Documentary chronicles and celebrates Little League’s 75-year contribution to American culture and to the quality of life for millions more around the world today. Public Broadcast Service television stations throughout the United States are broadcasting the documentary. According to WVIA Public Media President, CEO and Executive Producer Tom Currá, Little League’s 75-year history has brought families, neighbors, and whole communities together. “Now through the efforts of our Emmy® award-winning team, ‘Little League: A History’ goes deep past the fences of your neighborhood ballpark into the American institution that is Little League,” Currá, said. On the web at Little League®: A History. Play Ball Like a Girl!